Chittenden County does not appear to be fertile ground for rising stars of the Republican Party. The county’s six senators are Democrats, and only six of its 40 state representatives are Republicans. But Alex Farrell is giving it a shot. 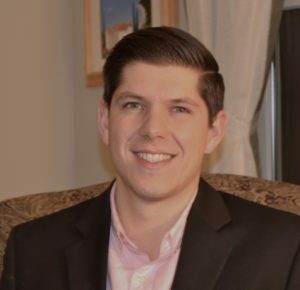 Last month, the 25-year-old Champlain Valley Union High School graduate was selected as president of the Burlington Republican Party, and last week he announced his candidacy for state Senate. The theme of his campaign, he said, will be addressing the area’s “affordability crisis” through a two-pronged effort to expand economic opportunity and lower the cost of living. “I saw friends of mine who grew up here leaving, or friends from college leaving, because they had to pursue more economically feasible opportunities outside of Vermont,” said Farrell, a Shelburne native who graduated from UVM with a degree in business administration. He comes from the prominent Farrell family, owners of the eponymous 300-employee beverage distributor with offices in South Burlington and Rutland. Farrell said his political aspirations began in college, while working at BioTek Instruments in Winooski and watching the Alperts, who own the company, stick it out in Vermont despite economic challenges. Farrell said he hopes that people are able to look beyond his party, noting his own support for Burlington Mayor Miro Weinberger, a Democrat who just won a third term in office (without a Republican challenger).